The word monument derives from the Latin word monere, which means “to warn.” As monstrum, a noun form derived from this infinitive, the word designates a bad omen—the words monster and premonition share the same root. Today, as monuments are increasingly critiqued for the ideological frameworks and power structures they reinscribe, the question arises: Is the very notion of a monument always destined to become embedded within these ideological “monsters”? Is it possible for monuments to allow for plural accounts of history? Is the monument a form worth arguing for? Bringing together scholars Kevin Mumford, Harriet F. Senie, and Jeanne Vaccaro, this panel will consider the histories and futures of monuments in the United States, with a particular focus on the possibilities and challenges of memorializing queer and trans histories. This program is presented on the occasion of Chris E. Vargas’s exhibition and residency, “Consciousness Razing: The Stonewall Re-memorialization Project,” which embeds MOTHA within the New Museum. This iteration of the project will explore Stonewall as a geographically, demographically, and historically contested site. Throughout MOTHA’s four-month exhibition, Vargas questions what we think we know about the 1969 Stonewall riots in New York, often cited as a formative event for gay liberation and the modern LGBTQI civil rights movement in the US. In 2016, to commemorate the riots, President Obama designated Stonewall Inn and the adjacent Christopher Park a national monument. Yet for years, many of the activists who led the fight against violence and police brutality against queer and trans people—including Sylvia Rivera, Marsha P. Johnson, Miss Major, and many others—were not properly recognized in popular accounts of Stonewall. These figures are increasingly acknowledged in mainstream LGBTQI histories, but narratives of their work often elide their more radical demands and their critiques of racism, economic marginalization, and transphobia. Rather than construct a neat historical trajectory, the overall project contends that attempting to narrate a stable history does the past a disservice. Instead, MOTHA finds new ways to uncover, recast, and recuperate elements of the past. Support for Education and Public Engagement programs is provided, in part, by the New York City Department of Cultural Affairs in partnership with the City Council, and the New York State Council on the Arts with the support of Governor Andrew M. Cuomo and the New York State Legislature. 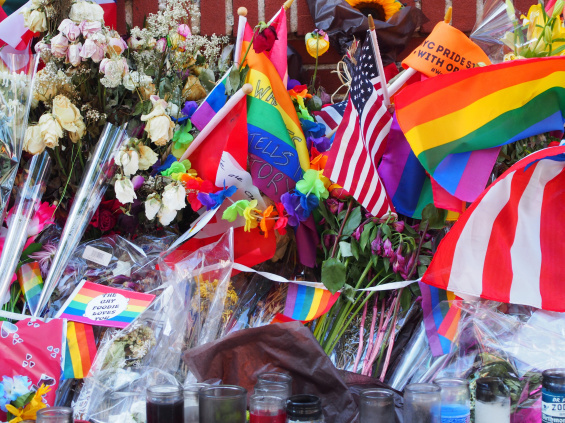 Full support for “Consciousness Razing: The Stonewall Re-memorialization Project” can be viewed here.